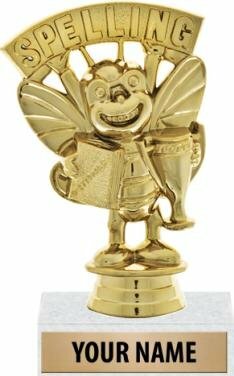 Scholastic Trophies - Everyone Wins With Crown's Great Participation Trophies. This Award Features An Academic Excellence Sport Figurine On A White Marble Base. This Education Trophy Is Perfect For Awarding Students For All Their Hard Work Throughout The School Year! Customize Now With Personalized Engraving! Perfect Education Themed Keepsake For Students, Scholars and Teachers!